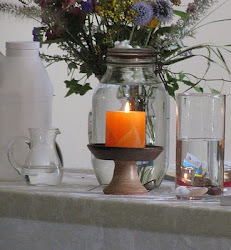 UU A Way Of Life: Today's lesson, number 92, "Miracles are seen in light, and the light and strength are one." Today's lesson, number 92, "Miracles are seen in light, and the light and strength are one." Today's lesson, number 92 in A Course In Miracles, is "Miracles are seen in light, and the light and strength are one." There is a difference between sight and vision. 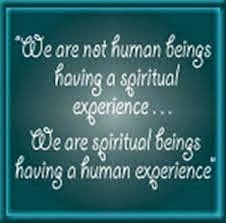 Sight is experienced through the body's eyes as we project our expectations upon what we think of as external objects. Vision is an inner experience of meaning and intention that gives an awareness of purpose. Comidian, Flip Wilson, when he did his Geraldine routine, would say, "What you see, honey, is what you get." People would laugh. It was funny. But, it is more than that, because it's not just what the eyes see, but what the eyes think they see, is what they get. "Seeing" is in the mind not in the eyes. Today's lesson is reminding us of this idea that what we see is in our mind, not in our bodily eyes. What we think is out there, which the Course tells us are illusions, is nothing but a dream. Seeing with bodily eyes is just a form of dreaming. Today's lesson is suggesting that we stop dreaming, stop seeing with bodily eyes, and wake up to the miracles which come from a decision we make in our minds to see the holiness in a sanctified world and from this vision comes our strength. 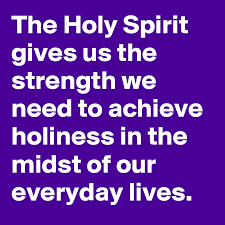 This vision of holiness and our strength are one. Unitarian Univeralists have a vision of Unconditional Love which includes every person because every person has inherent worth and dignity and is part of the interdependent web of existence. UUs have a vision of salvation where everybody loves everybody all the time. It is this vision which UUs covenant together to affirm and promote which encompasses miracles which are seen in the light, and it is this light - filled vision that the strength of Unitarian Universalism is experienced. Today, remind yourself that it is Unconditional Love which is the vision of ourselves and the world with which we see and from which we derrive our strength.